Sterilization Rolls There are 19 products. 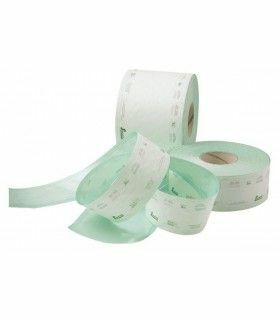 Sterilization rolls 5 cm. wide roll of 100 m. with sterilization witness Sogeva brand. Sterilization rolls 5 cm. wide roll of 200 m. with sterilization witness Sogeva brand. Sterilization roll 7,5 cm. wide roll of 100 m. with sterilization witness Sogeva brand. 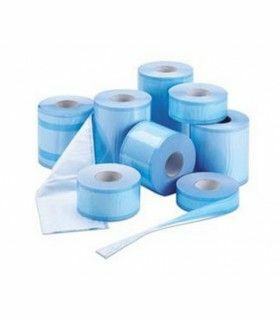 Sterilization rolls 7,5 cm. wide roll of 200 m. with sterilization witness Sogeva brand. Sterilization roll 10 cm. wide roll of 100 m. with sterilization witness Sogeva brand. Sterilization rolls 10 cm. wide roll of 200 m. with sterilization witness Sogeva brand. 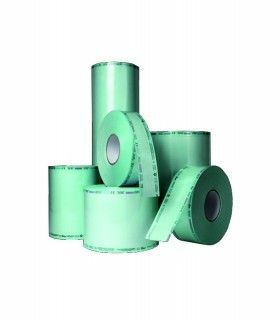 Sterilization rolls 15 cm. wide roll of 200 m. with sterilization witness Sogeva brand. 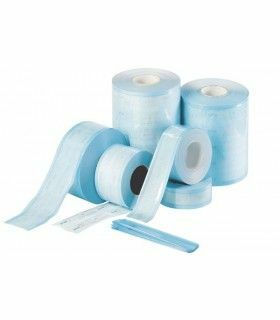 Sterilization rolls 25 cm. wide roll of 200 m. with sterilization witness Sogeva brand. STERILIZATION ROLL 55mm. x 200m. Roll sterilization high quality paper Width: 55mm. x 200 m. in length, with control of sterilization. STERILIZATION ROLL 75mm. x 200m. Roll sterilization high quality paper Width: 75mm. x 200 m. in length, with control of sterilization. STERILIZATION ROLL 100mm. x 200m. Roll sterilization high quality paper Width: 100mm. x 200 m. in length, with control of sterilization. STERILIZATION ROLL 150mm. x 200m. Roll sterilization high quality paper Width: 150mm. x 200 m. in length, with control of sterilization.